musical backgrounds and abilities to join. each other and the wider community. 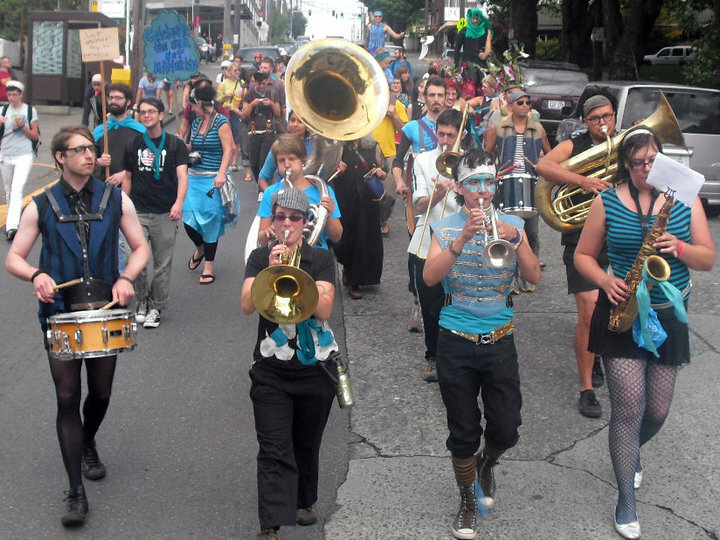 * reclaim public space and the streets for music! * provide musical support for political actions! * be a creative outlet for members, actively nurturing members’ creativity!